Research report for Asian Americans/Pacific Islanders in Philanthropy (AAPIP) on the state of funding for LGBTQ Asian American/Pacific Islanders communities. Co-authored with Lyle Matthew Kan for The Huffington Post. 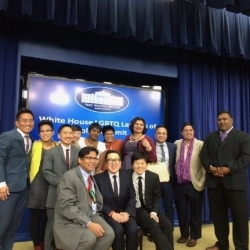 A recap and analysis of the historic 2015 National Summit for LGBTQ People of Color Leaders at the White House.